Joy Braun is an accomplished triathlete and runner who has a passion for coaching others in their journey to crush their goals. Joy has been coaching men and women since 2015. While she coaches triathletes and runners of all abilities and distances, her forte is in newer athletes with big dreams. Joy is a 10x Ironman finisher. 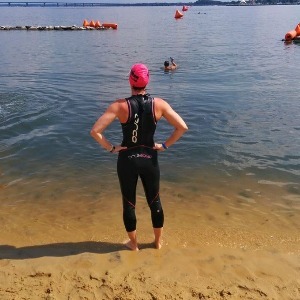 She has completed triathlons of all distances - from sprint to Ironman. She is a Boston marathon qualifier, Ironman All World Athlete, and USA Triathlon All American. Her passion is to empower athletes to conquer their athletic and personal dreams. Success. Coach Joy Braun has been notified of your message.